With clear blue skies and perfect visibility, it’s 11.00am on the second Saturday in May and the whistle sounded for the start of the 34th running of the annual Annalong Horseshoe fell race. This race was first run in 1982 and consists of 13 miles and over 5,000 ft of climbing over five summits in the Mourne mountains and this year counts as a long race in the NIMRA championship. 72 runners started off along the Head Road towards the first checkpoint on the summit of Chimney Rock. As we counted them off, we only counted 71 runners over the start line. 30 secs later, the 72nd entrant emerged from the nearby bushes after a ‘wardrobe adjustment’ and headed off after the rest of the pack. 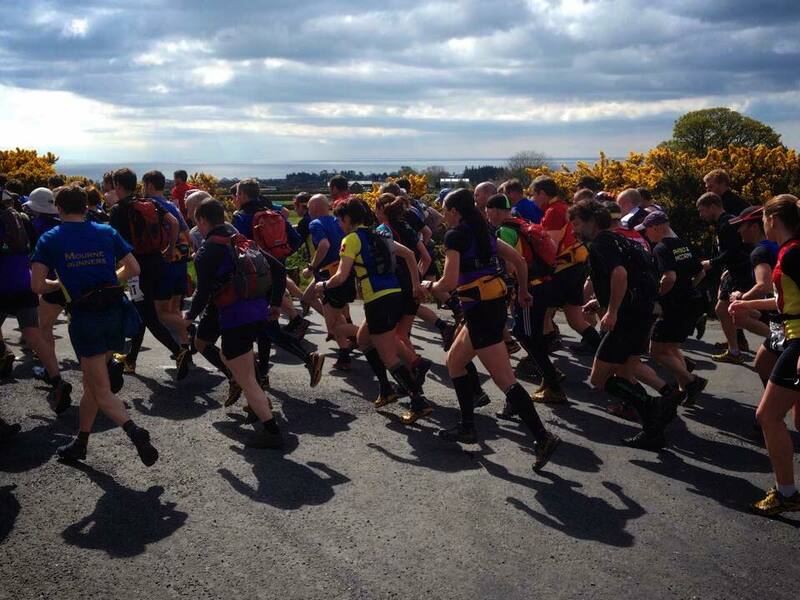 This entry was posted in Race and tagged annalong horseshoe, barf, fell running, Mourne Mountains on May 10, 2015 by Aaron.